“When I was 11, I read a book by R.C. Andrews called “All About Dinosaurs”. I had already been in love with dinosaurs for many years, but when I read that book, I learned about what it was like to be a palaeontologist. 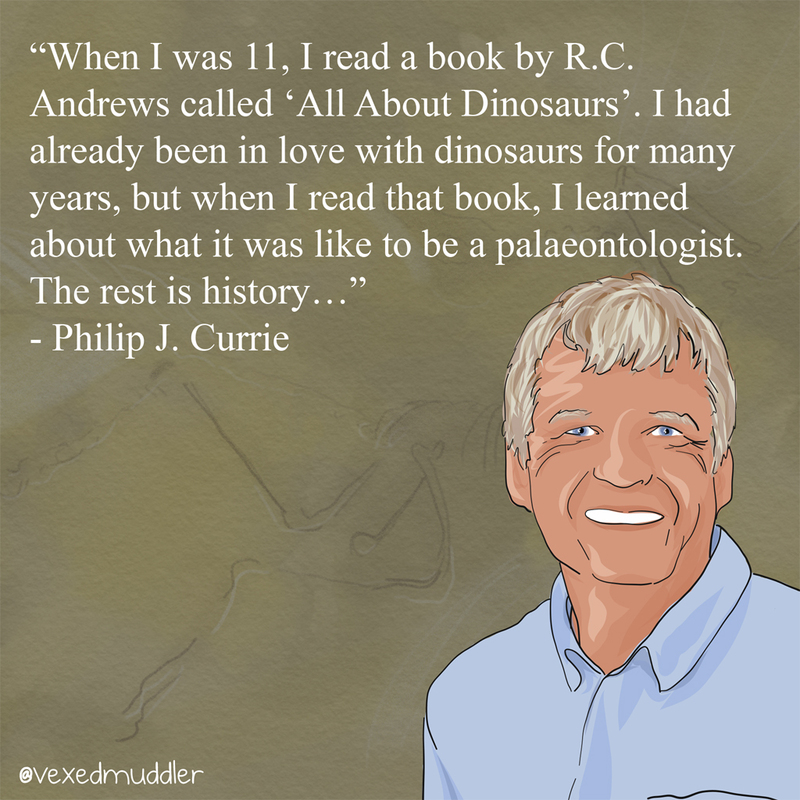 The rest is history…” – Philip Currie, Palaeontologist at University of Alberta. Originally posted on September 25, 2016.